BreedeNet Wireless Internet Service Provider provides high-speed internet, VOIP communication and web hosting to home and business users. Established in 1994, our creative approach has given us national coverage enabling us to serve most centers in South Africa and beyond. We are an authorized Jaguar Land Rover Agent and are open from 7:30 am – 17:30 pm from Monday to Friday and from 9:00 am – 13:00 pm on a Saturday our service department however is closed on a Saturday. We welcome you to come see our vehicles for yourself or visit us for a test drive. Have you heard about our Guaranteed Future Value we now offer? With GFV you can drive a new Jaguar Land Rover every three years with the peace of mind of knowing from the start what the minimum future value of your new vehicle will be, so you can plan ahead. 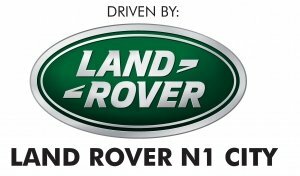 Call Jaguar Land Rover N1 City today on 0215957100 to find out more. Since 1707, our family have always believed in respecting the land and the people that farm the land. Over time, we have grown to be a leading producer of Fairtrade wine from South Africa, devoted to responsible handcrafted wine. Discover our story of vine to wine on our site, or in Wellington (near Cape Town) when you book to taste wine in our 260 year old cellar. Become part of the story when you join the Bosman Family Wine Club and let’s toast, to faith, hope and love! Peak performance of anyone doing exercise or training is only possible if their recovery is planned, support and managed well. A recovery schedule should include a combination of best practices such as hydration, nutrition and physical muscular support. Silverback, Located in Stuttgart, Germany, with Global Operations in 4 locations. The brand has evolved into one of the worlds fastest Growing Global Bike brands , focused on developing Proprietary product , by the best minds, using the best technology. Our Revolutions on the outside has rapidly gained recognition. Silverback is currently distributing to over 50 counties worldwide. Our innovative technology has won several Global design awards and proves itself by winning world cup races. 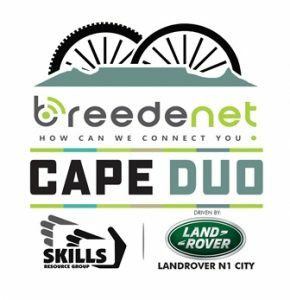 The cycle shop, situated in Ceres, stocks all major bicycle and accessory brands. The shop also has a fully functional workshop that specializes in the smallest repairs as well as major re-builds and repairs of all types of bicycles. Visit us, and browse through our vast stock of all major bicycle brands, accessories and apparel. Our passion at WRFM is to be more than radio, and community upliftment and transformation is central to everything we do. WRFM exists to offer a helping hand for positive change. Our varied programs have been carefully compiled to offer something special to our valued listeners. We include discussions which our audience find entertaining, engaging and informative. Our listeners are held in the highest regard, to us they are family. Investing in our people and nurturing a strong Wolf Pack is how we aim to build a company of integrity and excellence.